Pipeline Engineering required an assessment of the structural performance of a new 72″ Class 300 Pipeline Closure design. 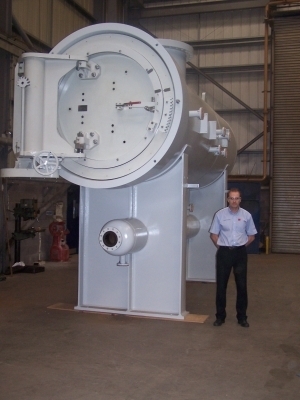 This closure was larger than those previously designed and manufactured by the company. 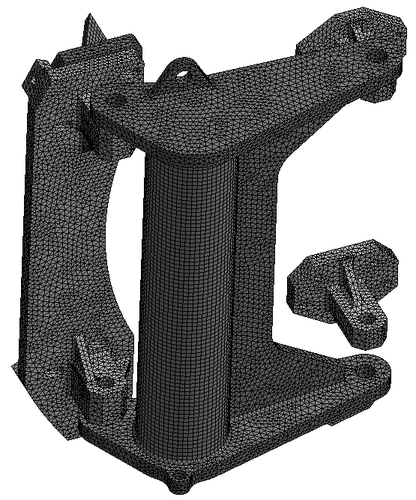 The use of FEA enabled the product designers to gather design feedback of the closure system at an early development stage without having to commit to expensive prototyping and testing. Pipeline Engineering provides pipeline pigs and a full range of products and services to assist pipeline cleaning, pipeline protection and flow assurance in the Oil, Gas and other process industries. 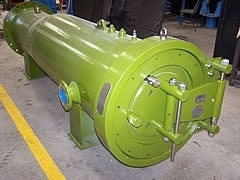 Pipeline Engineering manufactures pipeline pigs, pig signalers, pipeline closures, pig launchers, pig receivers and a range of pressure vessel products. The company is recognised for its expertise in polyurethane technology and also produces other polyurethane-based products such as bend restrictors, bend limiters, track pads, filtration screens and subsea cable protection systems. Pipeline closures are pressure retaining structures designed to provide access to pipelines and pressure vessels. Pipeline Engineering has developed its closures to provide fast access to pipelines and pressure vessels. Pipeline Engineering required an assessment of the structural performance of a new 72″ Class 300 Pipeline Closure design. 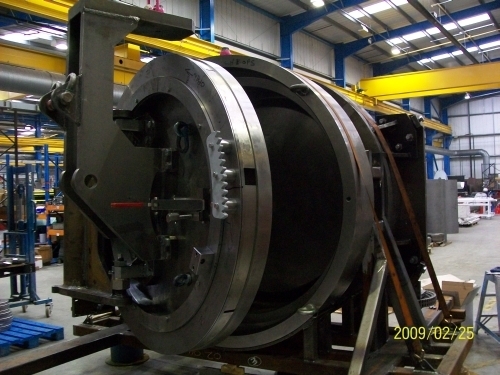 This closure was larger than those previously designed and manufactured by the company. 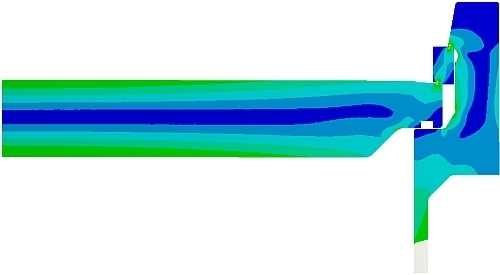 Finite element analysis was used to assess the structural response of the closure door and the door hinge. The analysis was used to predict deflections of the closure system, the loads and stresses on the locking keys and the deflections of the door hinge when the door was opened. The results indicated the areas where design modifications were necessary. Pipeline Engineering supplied Wilde with 3D CAD files that were subsequently defeatured and prepared to make suitable for use with ANSYS FEA simulation software. For efficiency and accuracy, a combination of 2D and 3D methods were used. 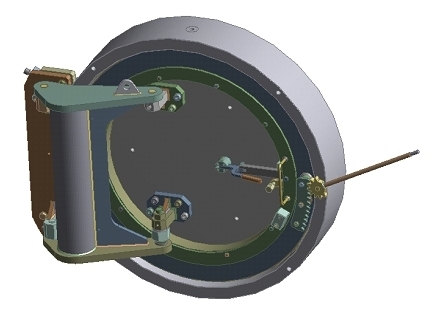 The door and locking system was simplified into a 2D axis-symmetric problem using ANSYS DesignModeler. 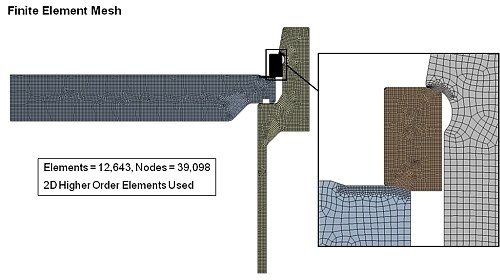 Contact modelling within ANSYS was used to model load transfer between the components of the closure mechanism. Each load case was analysed to identify areas of the structure most highly affected by that load case. A technical report was prepared summarising the results for all identified operating conditions. 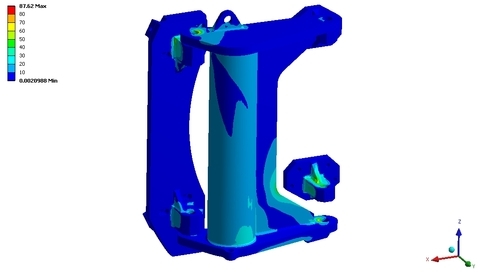 A separate 3D finite element model and mesh was created to predict the response of the door hinge at different angles. Finite element analysis allowed the product designers at Pipeline Engineering to gather design feedback of the closure system at an early development stage without having to commit to expensive prototyping and testing. This greatly reduced the risk of having to implement expensive modifications further along the design process and provided valuable insight into how the system would perform in operation.